I tend to go through waves where creativity comes easily, and then suddenly I struggle in emptiness. I have been working on this series of black and white self-portraits for about 18 months now, but just recently I am finding it harder and harder to create. Perhaps I need a break? Perhaps other activities got in the way? Perhaps this means the body of work is finally complete? This is a simple idea I had and struggled to shoot. 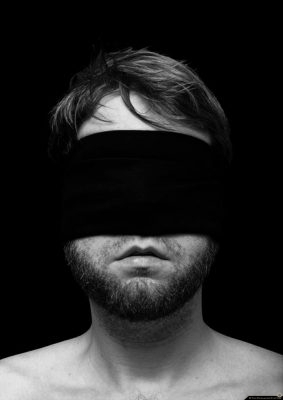 It is a man blindfolded, but more surreal than just that. Clearly, it was difficult to photograph myself while not having any sight, but the hard part was more in my facial expression. I spent days in the studio shooting this idea over and over. Finally, this single exposure had just the right look. 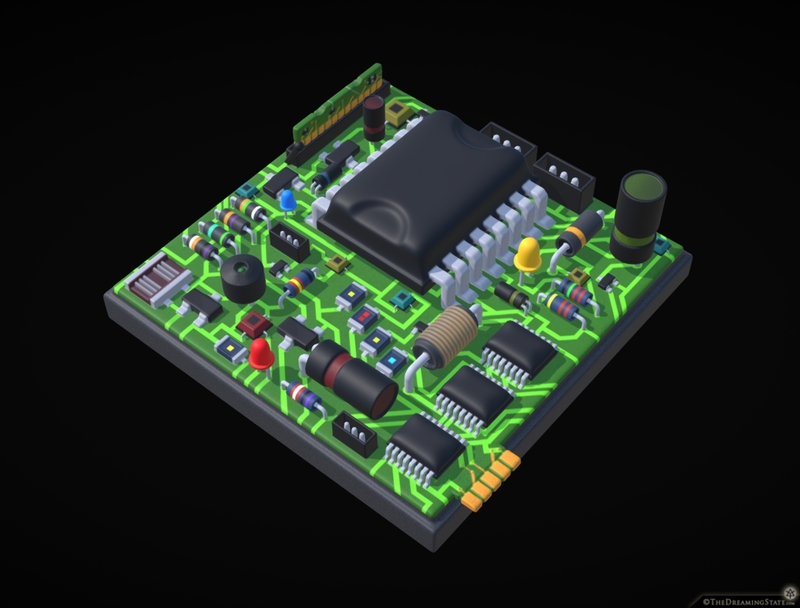 This is my latest virtual reality sculpting project… I have absolutely no idea how electronics work, but I find beauty in their aesthetics. As an artist, when I open up a computer (or other electronic device) and see a circuit board with various components, all connected by parallel lines – I see it as a work of art. I sculpted various components separately (integrated circuits, capacitors, resistors, transistors, LEDs, inductors) and then pieced them all together to create a fake circuit board. I then painted lines connecting them all at random. I wonder what it does? 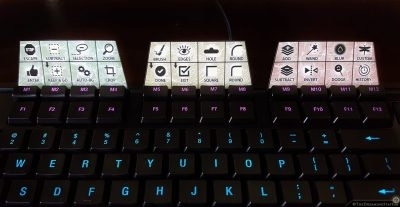 Photoshop is my job and my hobby, so I bought a gaming keyboard with tons of extra programmable keys so that I could speed up my workflow. 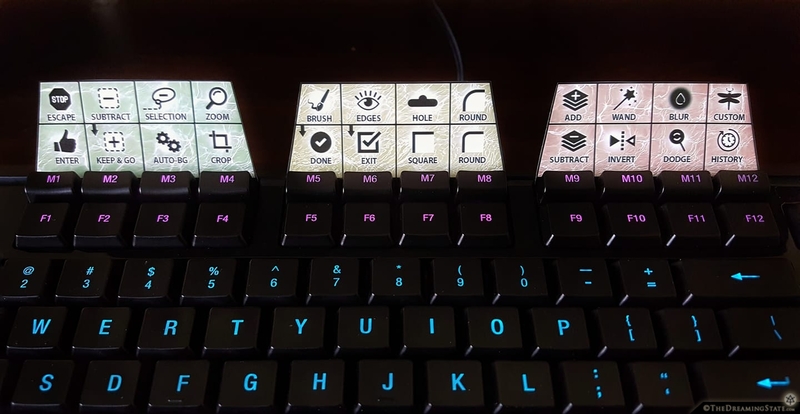 The problem is that I kept forgetting what the 24 custom keys do. Today I designed these label cards to help me remember what actions and tools are available. I even put in little icons for ease… Sometimes I feel like I am playing a piano solo while working through an image!